It was a notable day for Sven last week. 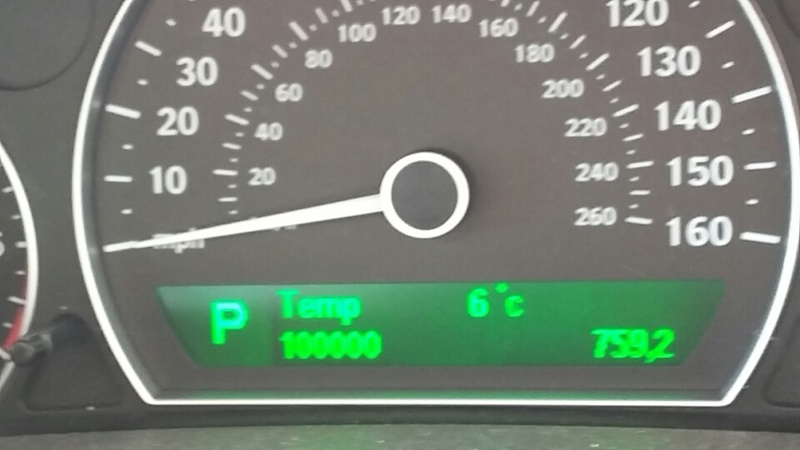 He hit a significant milestone – 100,000 miles on the clock. You can see the (not very good) before and after pictures below! Yes, Sven is my Saab 9-5, christened by daughter years ago to distinguish “him” from Scarlett, her bright red little Citroen C1 and Ruby, her mum’s dark red Ford Fiesta. We bought Sven when he was just nine months old, when we realised that taking daughter’s stuff up and down to Uni was going to require a car with a huge boot (or an estate car, which we didn’t fancy). We were very lucky – January 2009 saw an all-time low for second hand car prices for reasons I can’t recall. Sven came with a very high specification, lots of electronic stuff, turbo-charged engine and so on – and had been driven by one of the managers at the north London Saab dealership. So with around 10,000 miles on the clock, I paid about £15K for a nine-month old car – literally half the new list price. Sven is my fourth or fifth Saab, I have lost count. I have had a 9000, a 900, a 9-3 and now Sven, definitely the fastest! I always liked the fact they weren’t BMWs (too flashy for me) or Mercedes (too staid). I considered Audis but in recent years most of the bad driving I see on the Motorway is no longer BMWs but Audis, so I went off that marque. Tried a Jag once (in my company car days) but on the test drive my wife felt male drivers sneered at her, so we never went in that direction. Saab had a great reputation for safety, were always pretty good to drive, roomy, comfortable, Sven is surprisingly fast and I liked the overall brand feel. Sven has been reliable too - my only bad experience was when the fuel gauge played up and I ran out of fuel unexpectedly in the fast lane of the M1 … perhaps the scariest experience of my life. But of course Sven will be my last Saab. The car firm started in 1945 when the parent aerospace firm started design of its first model. General Motors bought 50% of the firm in 1989, then became the 100% owner in 2000, although it continued to run as a pretty independent business. However, Saab never had real scale - or a low-volume, high-price premium image – and eventually petitioned for bankruptcy in 2012 following the failure of a Chinese consortium to complete a purchase, blocked by GM, which opposed the transfer of technology and production rights to a Chinese company. A new firm, National Electric Vehicle Sweden (NEVS) bought Saab Automobile's bankrupt estate and continued making the 9-3 for a while, but lost the right to use the Saab name in 2014. A sad ending for a fine firm, really. But now bringing this back to some sort of procurement issue, I have an interesting total cost of ownership dilemma. Depreciation on Sven is now down to perhaps £400 a year, he is only worth a couple of grand at most. 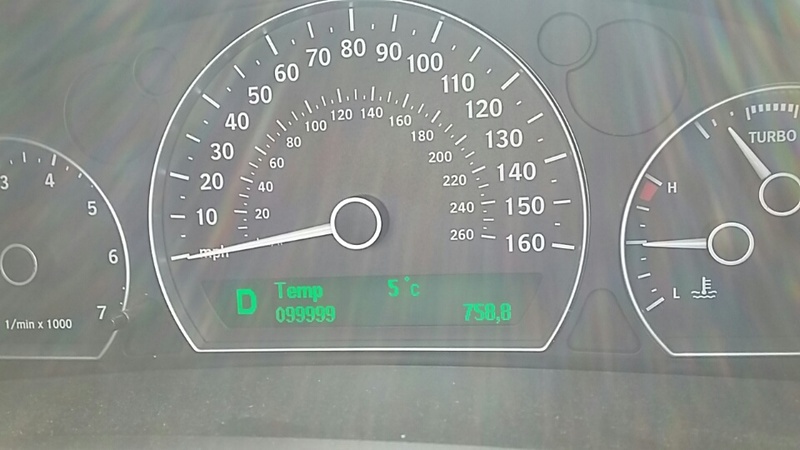 If I buy a new or even almost new car, that equivalent depreciation figure will be thousands. The uncertainty about diesel / petrol / electric engines brings me other future value risks for any new purchase – let alone self-driving cars changing the market totally. But what if Sven has problems? Is it worth spending £500 or even more if his annual service next month comes up with a major or even mid-sized issue that needs solving? At what point do I just write him off? But even if I have to spend a couple of grand on Sven, I could lose that in three months if I buy a new car instead. Tricky – this is really a combination of questions around total lifetime cost and risk management, combined with the more personal aspects of loyalty and illogical attachment to an inanimate object! So any thoughts on my best strategy? And also, any thoughts on what I should buy if and when I abandon poor old Sven? Due a Cam-Belt or Turbo rebuild anytime soon ?